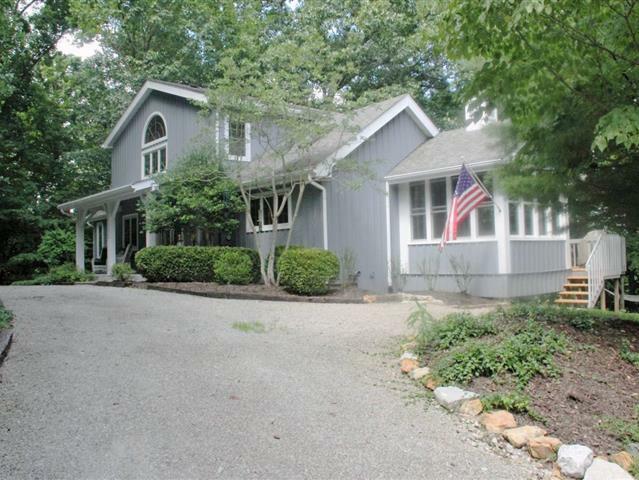 *SOLD* Discover exceptional style, feel & flow thruout this home..or home-away-from-home, w/resort lifestyle included..Hide-A-Way Hills Club, so naturally near Hocking Hills since 1961! Stunning timber frame construction, WOW wall of windows, beamed ceilings,grand lower walkout stone patio. Spacious side deck off side sun porch, private deck off main floor owners’ suite retreat. Kitchen/dine-in area features breakfast bar w/prep sink, quartz counters, skylights, premium appliances, walk-in pantry. Multi-functional loft design, finished lower with storage to spare plus wet bar. Stone fireplaces, abundant upscale wood windows, gorgeous pine wood flooring, ceilings, trim. Drive-to-door convenience, Three lots, impressive hardscaping and landscaping, new decking, seasonal lakeviews, multiple walk-ins plus built-ins, more. Gas log inserts, radon system, heated tile floor, track & recessed lighting, wood doors & more. Impressive upscale rustic charm,so well appointed & maintained!